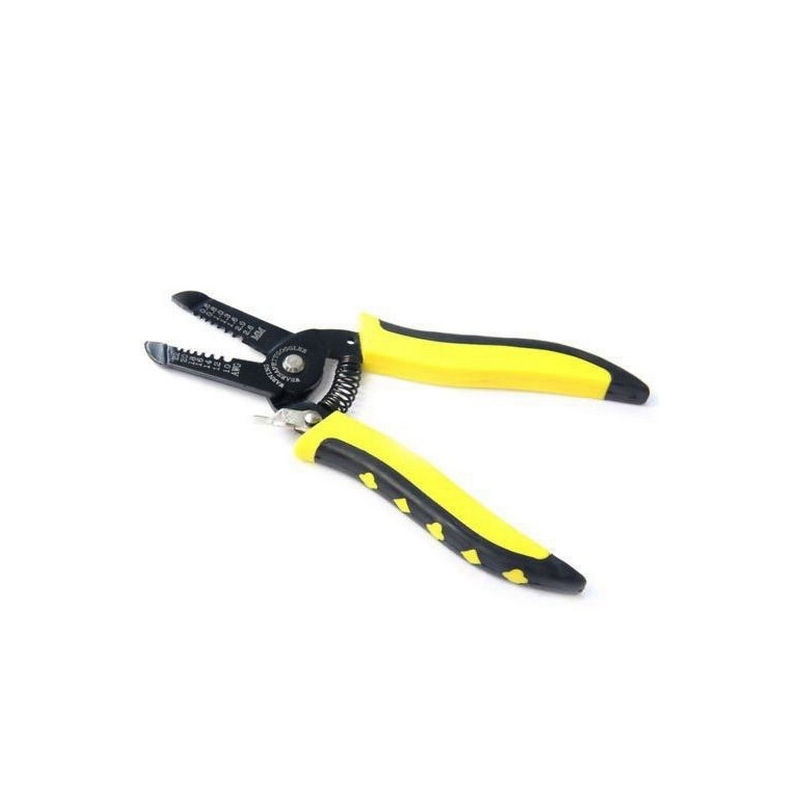 Simple wire stripping pliers to strip the insulation from wire ends. 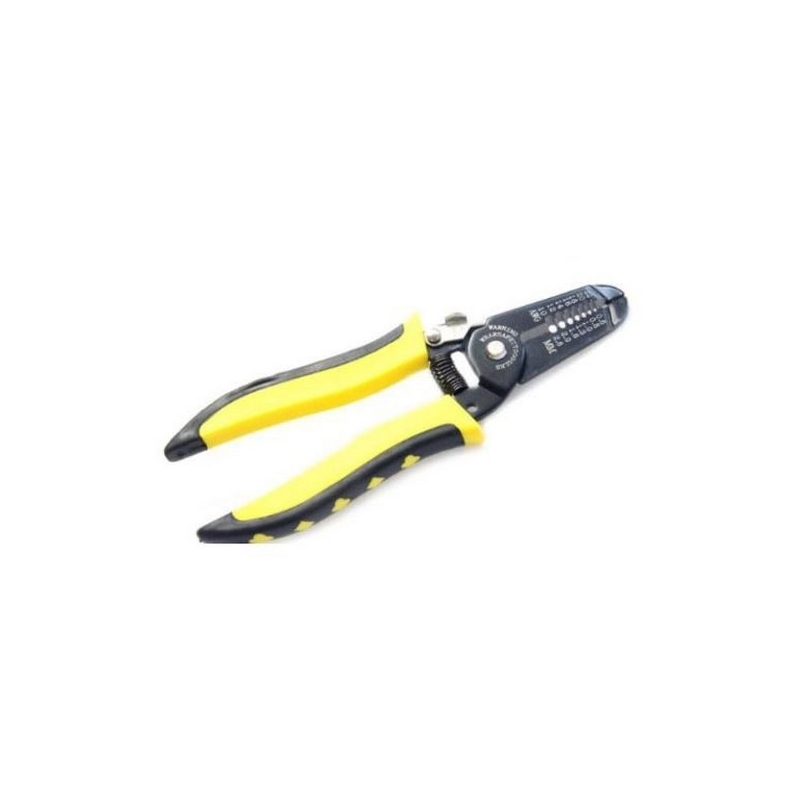 Works with VEX® motor and sensor cables or any wires 10-22 AWG. 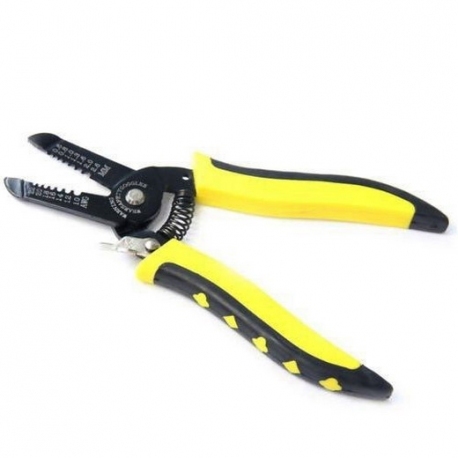 Also features a wire cutter and locking mechanism when storing the tool.